As part of the Anandshala program in Samastipur, we are collaborating with Voluntary Service Overseas (VSO) which has brought a multicultural group of 17 volunteers from Britain and India to help build model clusters and schools. Technology as a strategy has been deployed in these centres where tablets, battery-operated projectors and speakers are being used for the teachers' capacity building. We are taking this technological content to the classrooms to engage with children and young people from the community to enable them to explore career pathways through technology. This collaboration provides young volunteers the opportunity to understand different cultures and societies, such as that of Bihar. A play which was scripted and acted out by volunteers during a workshop in Delhi helped everyone present detect and deal with gender-based biases. 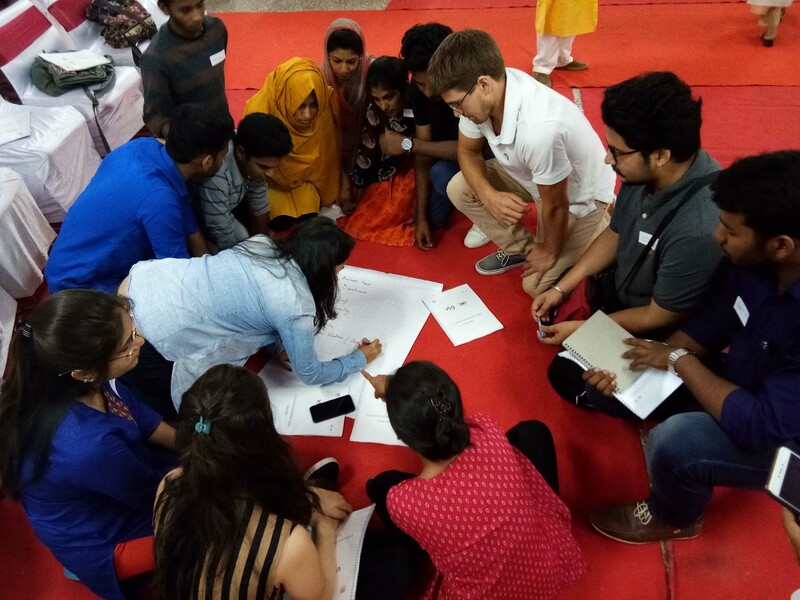 Volunteers from both Britain and India participated in individual and group activities to become aware of the origins of widely-held biases in our societies. The workshop, organized by VSO (International Citizen Service) opened with two questions on how we have encountered gender bias in our lives and how we have discriminated against others on the basis of gender. The participants consisted of college students and focused on biases held in educating girls and the expectations that society and educators have of female students. Currently, the group of volunteers in Samastipur are mobilizing the community, facilitating activities in schools and helping the community and schools come together to ensure that every child stays, engages and learns in school.